At its most fundamental, government does two things: governs (policies, rules, laws) and delivers services (passports, employment insurance, etc). Now, to the citizen, this means more focus on what they want, when they want it. 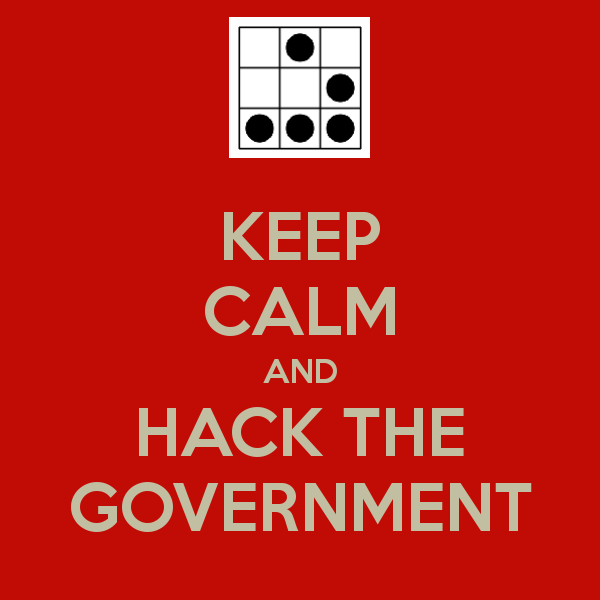 Governance information is a nuisance to all of the people who need to do something right now. It's red tape. It's blah blah. It's government gobbledygook. It's bureaucra-speak. It's boring. So why on earth do we make our users sift through our "content" when all they want to do is renew their passport? File their taxes? Apply for social security? Because for all of our talk of user-centeredness, government has a bad habit of prioritizing its own needs over those of its users. We consider the needs of the person delivering the service over the needs of the person requesting it. Sure, we might say different, but it's often lip service: in fact, I'm currently working on an app that collects a standard data set from users and sends it to departments, and I keep getting asked if the departments will get to contribute to the front-end prototype design. Um, no. Why should they? They're being pushed a standard set of data that is dictated by legislation. As long as they get the data in a format they can use, their needs are met in this equation. The key is the public facing user experience, not the backend one. And yet, I fight this fight regularly. And on all my projects. So here's the thing. If we really put our users first, we'd start every project by considering: what do our users want to know or want to do? Why do we need a single common web presence for the entire government? Hell, why do we even need websites for all of the departments? Sure a common entry point would be handy. And it would be really nice if we could have a common architecture, a common taxonomy, a really great AI-driven federated search, and the ability for our users to locate the information or services they need really quickly by seeing themselves and their expectations built right into the platform. But a website for every department? What's the point? Let's give them a simple entry point to access all of the government services, with a single log-in and data re-use. Yes, that will take years, but it's not even a goal at the moment, so let's get on that one right away, please. Let's point them to all the services they will need in a lifetime, as a citizen, as a non-citizen, as a visitor, as an expat. Let's think about their lifecycle and build a way for them to find what they need, when they need it. And let's stop pretending that digital service channels are the only channels. Because they're not. Not all populations across the country have equal high speed access to the Internet. Nor is everyone fully able-bodied or self-sufficient enough or even comfortable transacting online with the government. We need to maintain other channels for service delivery. So #1 is a one-stop shop for services. Now that we have one place to access services, let's not screw it up by filling it with "content". One of the biggest audience segments for our government website is... public servants. They need information about policies and governance, so in turn other departments fill their websites with information about policies and governance. As well, the government generates a lot of documents that need to be shared openly and posts them as web content that bloats the sites where citizens go to get services. This bloat makes it difficult for citizens to navigate: we have millions of pages of content on our web domains. Millions. We're putting our requirement to publish first. We're muddling our need to be open with our information with citizens' need to use our services. It's for this reason that governments are rethinking their one-website approaches. Let's post our information and data separately from our services with a great plain language search, a solid recommendation engine and a simple data visualization layer to help our users understand what they're looking at. People who want info will find info. Those who aren't interested won't be punished by being made to look at all of it while they try to transact. #2 is a one-stop shop for government info and data. Now, to do this, we need to improve our use of digital internally. This is really where the "digital" in digital government is currently falling down. Our internal processes and data are not entirely digital. Information provided by citizens should be managed digitally no matter what format they are supplied in. That way, data coming in from all channels can be stored together in searchable, easily referenceable systems. This is not the norm at this time. In fact, our policies and processes are, in some places, governed by policies that pre-date the digital era. Paper is still the norm. (There are 4 foot tall filing cabinets all over our new "modern" offices.) We're not focused on interoperability and incremental improvements over time. We wait until the last second and then either run huge projects to rip out old tech and replace it entirely (which is costly, time consuming and high risk) or we leave old systems in place, afraid to change it for fear of affecting service delivery. Clearly we have room to improve. We need a stronger push internally for data standards and interoperability. For data sharing across services. For digital by default in our own workflows. Service databases should be able to share information across the government and specifically across services to make the processing of requests more efficient and to reduce duplication. Especially that kind of duplication where we ask our citizens for the same information over and over again across different services. And need to stop converting our internal documentation into web content. It would be much faster to post it as-is than to waste time and money converting it into web pages. Which means greater transparency instead of an ever-growing backlog of work to rewrite it into content that no one wants to read through to get to the actual data. We need a mandate that requires departments to meet a set of data standards for open information/data and service delivery. Everyone should be required to capture and store data using standard data models and taxonomies, so they can be shared and mapped as required. Citizens can get services without providing the same information over and over again. We need record keeping and information management directives that require governance information and data to be made available as soon as it is considered final. No web writers, no web publishers. Instead, it gets put into the open repository and AI, metadata and information management specialists map the content for findability. Citizens can learn what the government is doing much more quickly. We need to map services across the enterprise and present them to citizens in a platform that thinks about them first. A platform that puts transaction over content (with the right connections to open data and information where required). A platform that speaks citizens' language, is easy to navigate and requires just the right amount of effort and information from a user to get them through the process. Citizens can access and use government services when they need them, where they need them. Digital government requires an end-to-end redesign of how government deals with data and information. And by thinking in a truly user-centered way, we can redefine how we work and better serve citizens. Shoutout to @sagecram and @corneliux for their feedback on this piece.